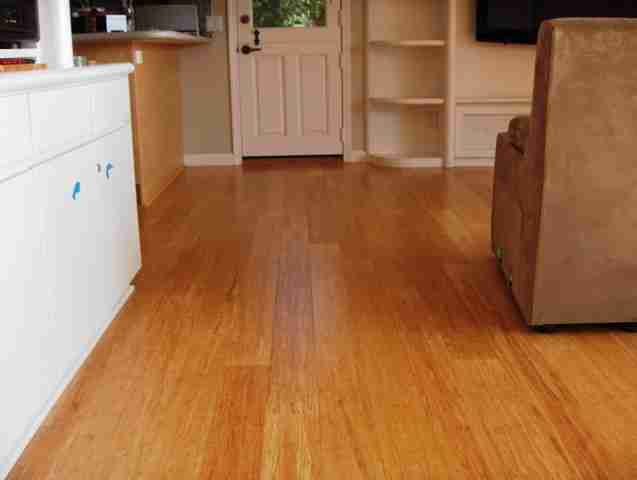 Here is our latest project using a Strand woven bamboo in Solana Beach. We replaced a carpeted area that we did about 2 years ago. Unfortunately the client got a new puppy and he kind of took over the carpeted areas if you know what I mean. 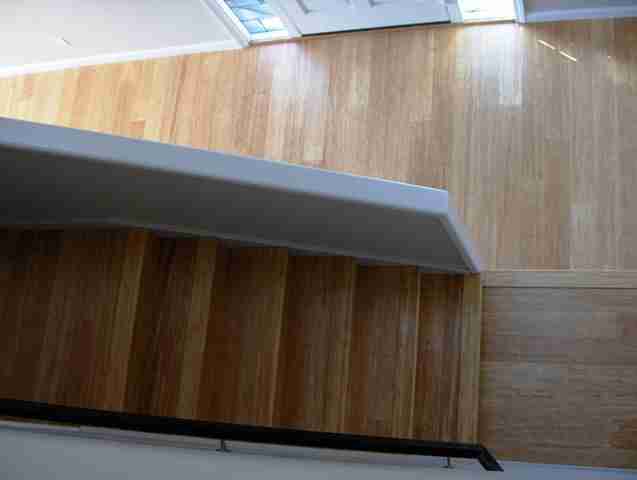 They had an existing white oak in another office area and wanted to find a natural product that came in a light color that would have the same tones, so we suggested this natural colored woven strand bamboo that is available in an engineered platform that makes it more user friendly in this Solana Beach location. 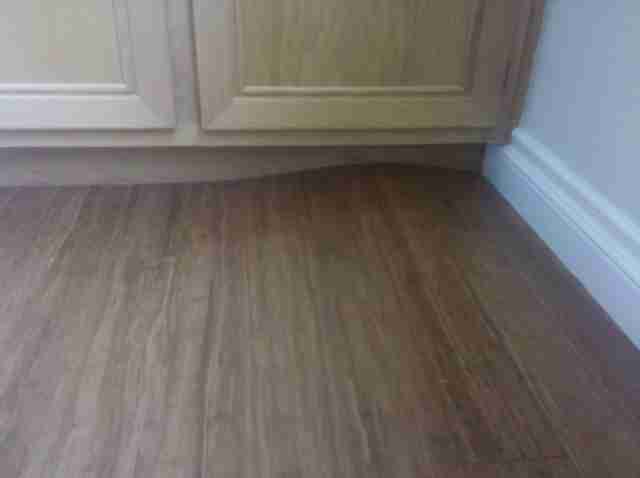 We undercut the cabinet curved trim detail to create the illusion that the bamboo was installed under the cabinets. The client wanted to have new clean base boards so we used #314M 3 1/2" base painted white. 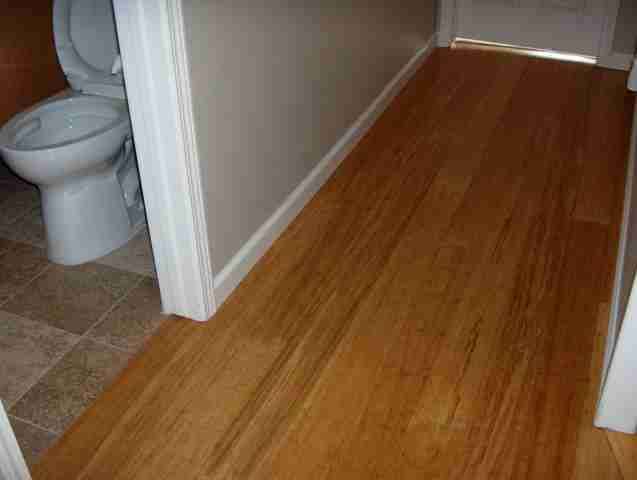 She also wanted to have a smooth transition to the tile in the kitchen and bath. 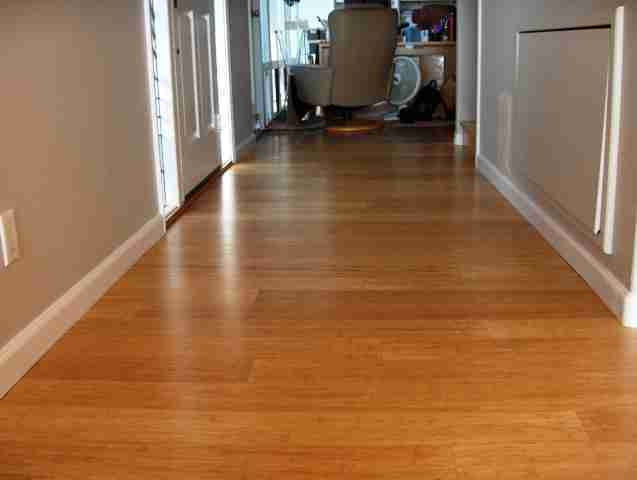 By gluing down the flooring we were able to create a nice clean transition. On Another note and another job, a warning about solid bamboo. 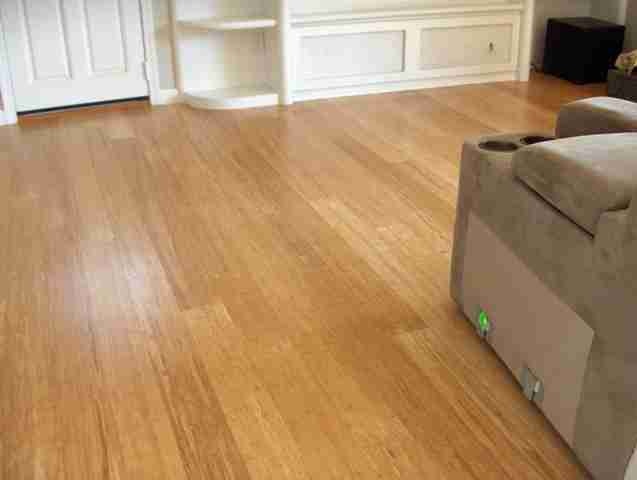 Be careful if you are using solid strand woven bamboo products. In the last year we have removed 3 homes that had the flooring literally popping off the concrete. One person tried to glue down the solid woven directly to the concrete and it failed miserably. Another client tried to float the floor by gluing it to itself and using a moisture barrier underlayment. 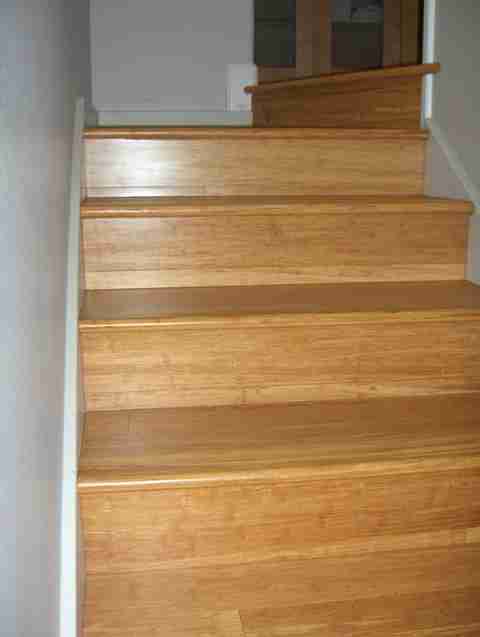 This photo shows how far up off the floor and how unstable solid strand bamboo is in San Diego. This is just one photo that shows how much the floor expanded up into the walls creating pressure into the floor area.